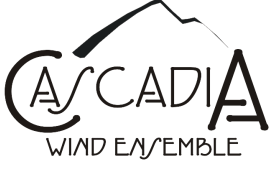 Cascadia Wind Ensemble Society is committed to safeguarding the personal information entrusted to us by our members, contacts and patrons. We manage your personal information in accordance with British Columbia’s Personal Information Protection Act and other applicable laws. This policy outlines the principles and practices we follow in protecting your personal information. we normally collect member, contact and patron personal information directly from our members, contacts and patrons. We collect and use information that is necessary to communicate with you. By requesting to join our mailing list, and/or by providing feedback or responding to audience surveys and/or by applying for membership, you consent to our collection, use, and disclosure of the information provided by you including previously collected information, according to the principles outlined in this policy.